All of the cases below are real cases completed in our office. 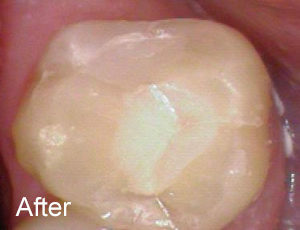 Crown Restoration: Did you know that the success of crowns is dependent on the quality of the seal between the crown and the tooth? 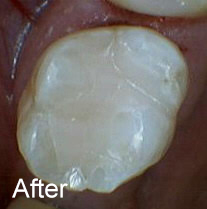 Over time, the cement can fail or plaque that sits at the gumline can erode the margin or interface between the crown and the tooth. Once the seal at the margin fails, the bacteria in your mouth invade at the weak point and destroy the underlying tooth structure! We never know what we will find under a crown until we actually remove it. 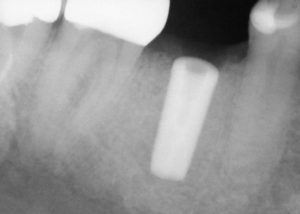 Typically, once we can detect the problem on an x-ray or through our clinical exam, we are only viewing the tip of the iceberg. 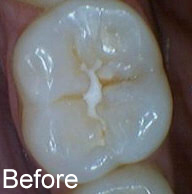 Here are a few examples of the process we go through to clean up the problem and restore the tooth to health and strength! 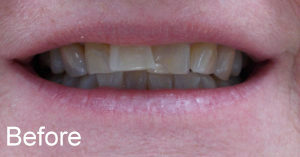 Surgical implants: Placing surgical implants to restore missing teeth. 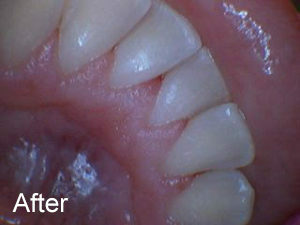 Before and after radiographs. 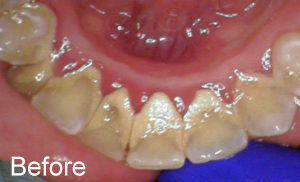 Veneers: Veneers don’t last forever! 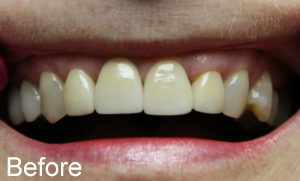 When this patient needed her existing veneers replaced, we were able to give her a much nicer result! 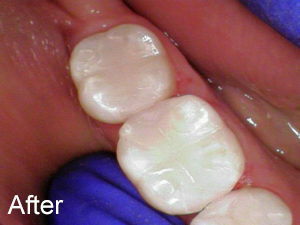 Interproximal space / flossing: Ever wondered why flossing is so important? Each tooth in your mouth has 5 surfaces. You can clean 3 of those 5 with a toothbrush. Without using dental floss or a Waterpik, you simply cannot clean those other 2 surfaces! Imagine if you took a shower and only cleaned 3/5 of your body every day! 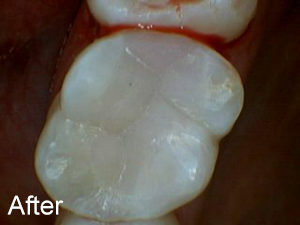 If you don’t keep the in-between or Interproximal surfaces of your teeth clean, you will develop interproximal cavities. 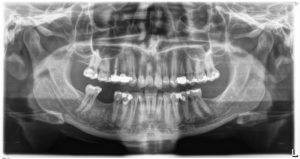 We take x-rays to see these hidden cavities! 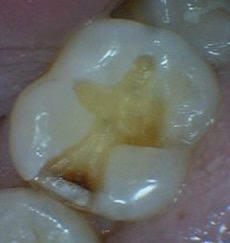 You can see from this picture that the tooth looks healthy just by looking at it. 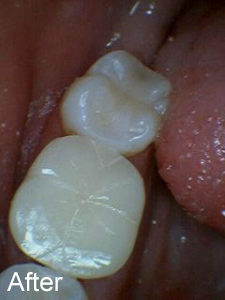 It is only the evidence we find on your x-rays that allow us to see these interproximal surfaces! 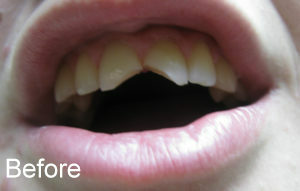 Cracked Teeth: Do you have a child that suffered trauma to their front teeth through sports or playing rough? 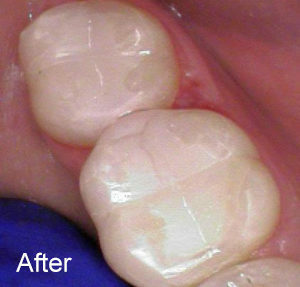 Through the use of composite resin bonding procedures, we can restore these broken teeth back to normal! 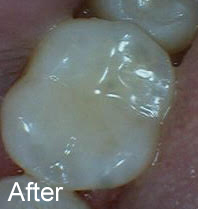 Crowding: If you want to change your crooked and damaged teeth but you don’t want to spend the time on braces, you would be amazed by what we can accomplish with crowns and veneers! Look at this transformation. 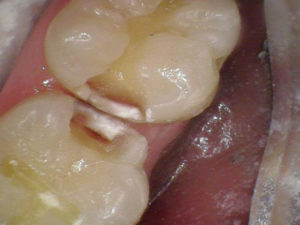 Cavities: Have you ever wondered what a cavity really looks like? Here are some great examples! 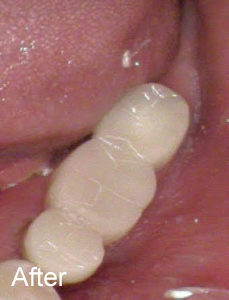 Teeth should be some form of white or yellow. 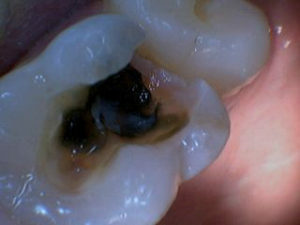 When we start to see brown or black, we know the tooth has developed a cavity! 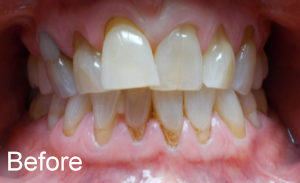 Cleaning: Ever wondered if it’s really necessary to have your teeth cleaned every 6 months? 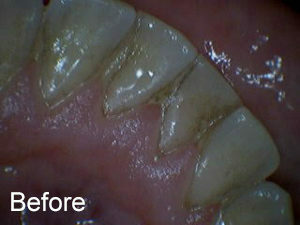 Here are some examples of what a difference that cleaning makes! 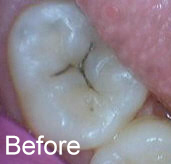 Leaving all that junk on your teeth only causes cavities, gum disease and bad breath! Stick to the recommended schedule, we promise it’s worth it! 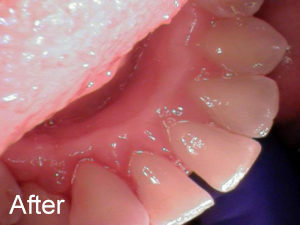 Fixed Bridges: Missing a tooth and want to bridge the gap? 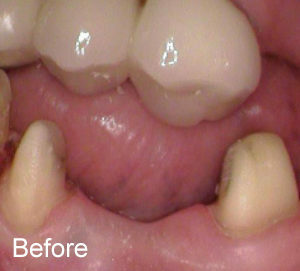 Fixed bridges are a tried and true method of replacing a missing tooth or two! 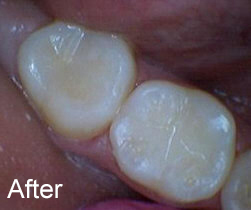 Bone Grafting: If you need to have a tooth extracted, we can do that for you here. 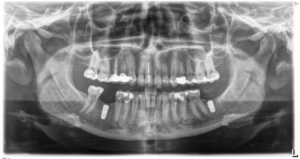 If you plan to place an implant in this area, we perform bone grafting to provide a nice base for the implant! Think about hanging a picture on your wall at home. You want to put the screws into a stud for proper support. If you hang the picture in drywall, it is likely to fall! Bone grafting follows this principle! 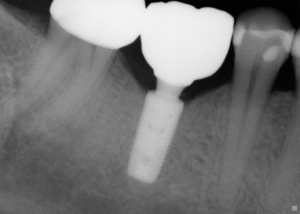 Bone grafting provides a “stud” of sturdy bone in which we can place the titanium implant screw. 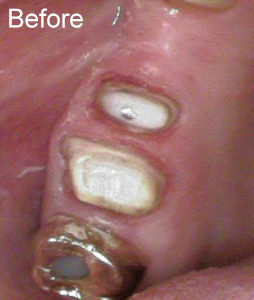 When you look at these pictures, you will see the surgical site where we extracted the tooth and placed the bone grafting material. 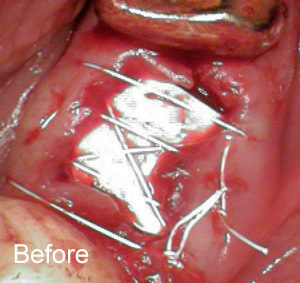 We cover the graft with a protective Teflon membrane and sutures until it heals. 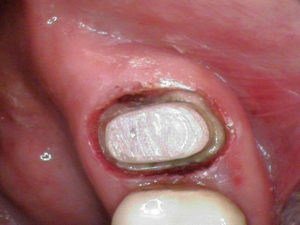 As it heals, you can see the nice wide site we have to place our implant. 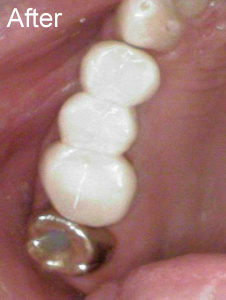 Follow the series to see the implant in place and then the final crown. 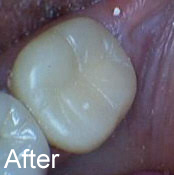 For this patient, we replaced his old gold crown as well, so the final result is beautiful! 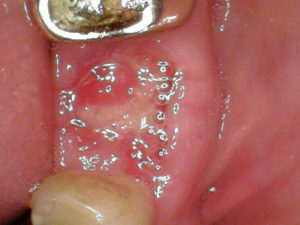 Fillings & Recurrent Decay: Most people don’t know that their fillings won’t last forever. 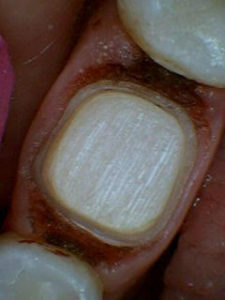 In dental school, dentists are taught that the average life expectancy of any filling is 5-7 years. 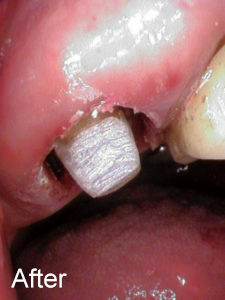 When an amalgam filling is placed in a tooth, the tooth structure is undercut and the filling is packed into the tooth like a wedge. It is only the mechanical retention that holds it in place. 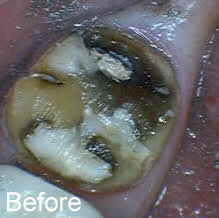 The dentist uses an instrument to burnish the amalgam against the tooth structure, creating a seal. The seal lasts for a time, but eventually breaks down and allows bacteria to seep underneath! This is what we call recurrent decay. 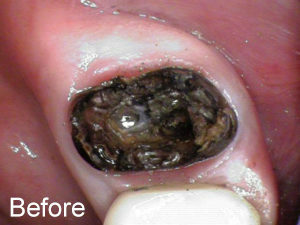 The amalgam material expands and contracts with temperature, causing fluctuation of the material and the tooth which contains it. 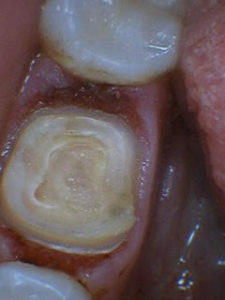 This causes micro-fractures and eventually, larger cracks in the tooth. 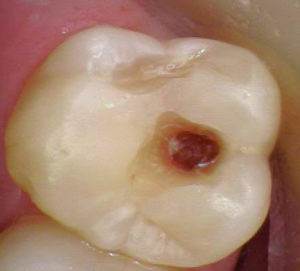 The weakening of the tooth structure will lead to large portions of the tooth breaking off, even when you are eating normal foods. 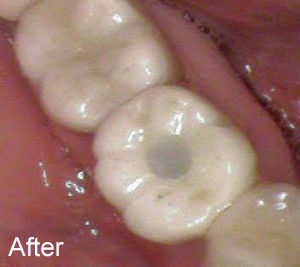 Sometimes, we can fix the problem by removing the old filling, cleaning up all of the recurrent decay and placing a new filling. 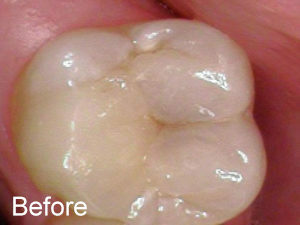 Other times, if the tooth breaks, we may need to place a crown on the tooth to restore proper form, function, and strength. 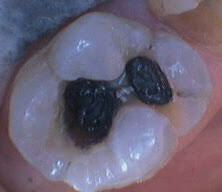 Composite resin fillings will fail over time as well. 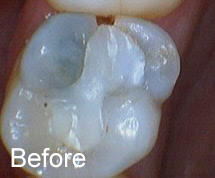 There are many advantages to composite, beginning with the fact that this material bonds to your tooth structure. This means that we can preserve healthy tooth structure and not weaken the tooth by undercutting it to achieve mechanical retention. The composite is not a metal so there is no expansion and contraction with temperature. 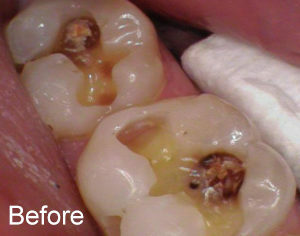 With mercury being such a controversial topic for so many people, composite resin fillings contain no mercury. 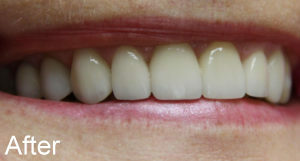 In addition, they are tooth-colored which patients love. 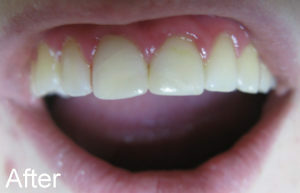 They are far more conservative for the tooth and they are the standard of care in our practice. 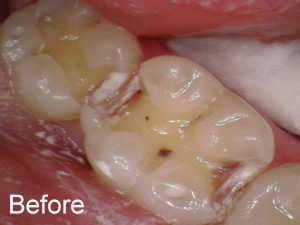 See some examples below of recurrent decay beneath existing fillings. 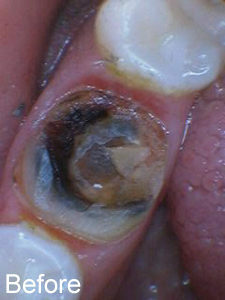 You can see the heart of the decay once we have removed the old filling.